Russian-American Mezzo-Soprano Mariya Kaganskaya’s most recent roles include Cherubino (Le nozze di Figaro), Page (Salome) and Paula (Florencia en el Amazonas) at Florida Grand Opera, Tisbe (La Cenerentola), Suzuki (Madama Butterfly), and Third Wood Sprite (Rusalka) at Arizona Opera, and Teacher in the Santa Fe Opera’s world premiere production of The (R)evolution of Steve Jobs, the recording of which earned the 2019 GRAMMY Award for Best Opera Recording. Coming up in the 2018-19 Season, Ms. Kaganskaya will perform the roles of Mrs. Rockefeller/Natalia (Frida) and Käthchen (Werther), and study-cover the role of Charlotte (Werther) at Florida Grand Opera. Her other recently performed roles include Dorabella (Così fan tutte), Ottavia (L’incoronazione di Poppea), Serse (Serse), Olga (Eugene Onegin), Hostess (Boris Godunov), Marta (Iolanta), La Nourrice (Milhaud’s Médée), Mexican Woman (A Streetcar Named Desire), Dinah (Trouble in Tahiti), and Julia Bertram (Mansfield Park). 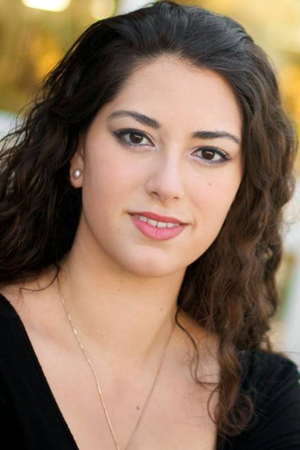 Ms. Kaganskaya is currently a second-year Studio Artist at Florida Grand Opera, and has been an Apprentice Singer at the Santa Fe Opera, a Marion Roose Pullin Studio Artist at Arizona Opera, a Mosher Studio Artist at Opera Santa Barbara, and a Young Artist at the iSing International Festival in China. She is an alumna of the OperaWorks Advanced Artist Program and the Russian Opera Workshop at the Academy of Vocal Arts, and earned her MM (’15) and PGD (’16) at the San Francisco Conservatory of Music, under the tutelage of Catherine Cook. Recent awards include: Grand Prize Winner in the St. Petersburg Opera Guild (2019), Winner, Butler Opera International Competition (2018), Audience Choice, Lois Alba Aria Competition (2018), Tier I Bell Encouragement Award, James Toland Vocal Arts Competition (2018), Florida East Coast Chapter Winner, NSAL Dorothy Lincoln-Smith Competition (2018), First Place, Gershwin International Music Competition (2017), Polk Young Artist Award, Orpheus Vocal Competition (2017), Young Artist Award, Pasadena Opera Guild (2016), Silver Award, Holt Competition (2016), Third Place, East Bay Opera League Competition (2016), San Francisco District Winner and Western Regional Encouragement Award, Metropolitan Opera National Council Auditions (2015), and First Place/Lotfi Mansouri Award, Pacific Musical Society Competition (2014).